Achieving the daily required amount of vitamins and minerals is not always reachable through diet. 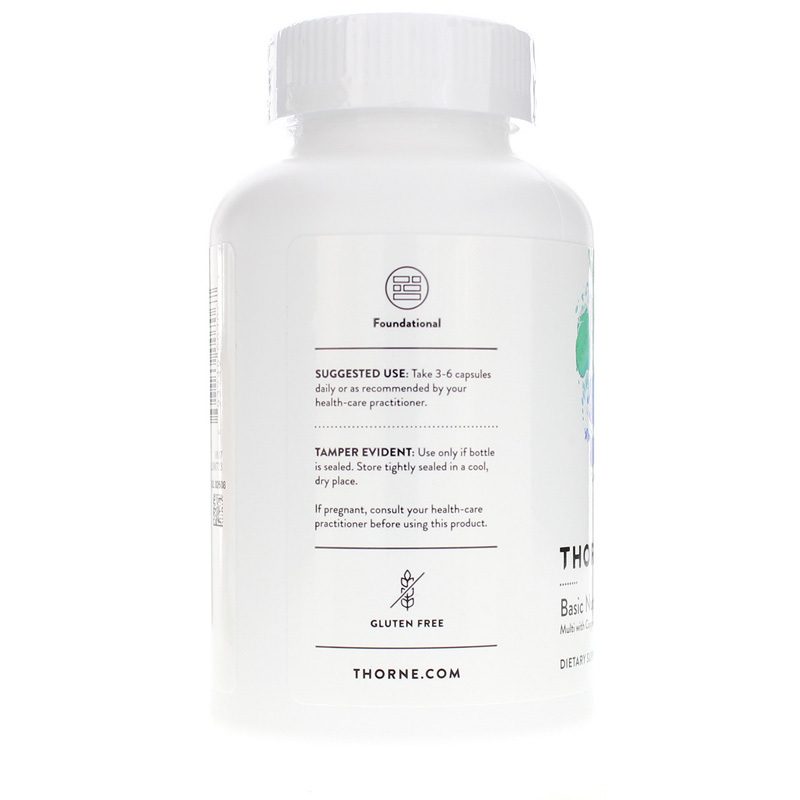 Thankfully, Thorne Research has developed a comprehensive multi-vitamins that is ideal for your health. 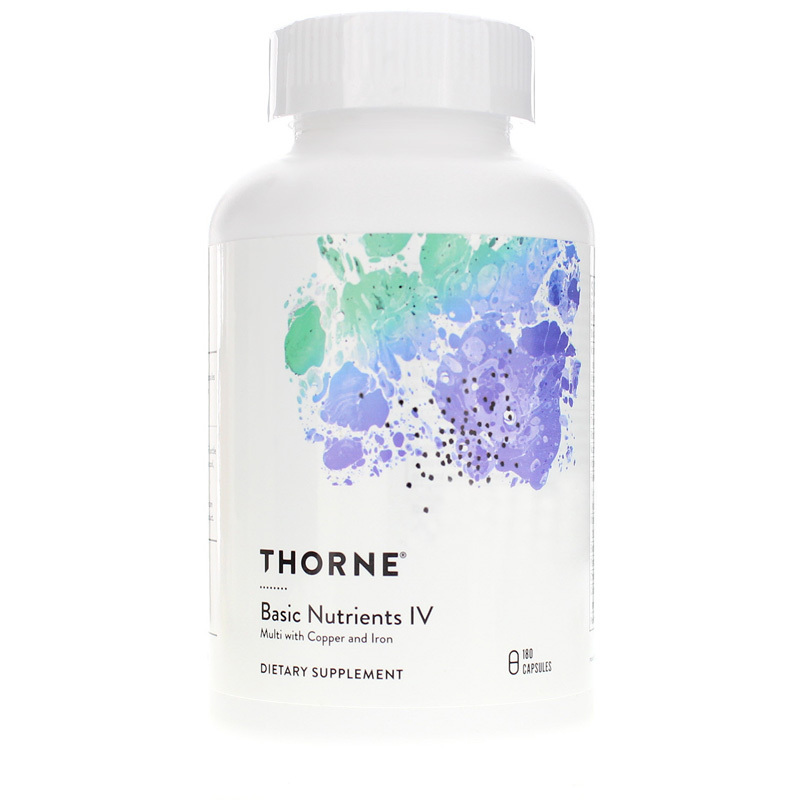 Basic Nutrients IV with Copper and Iron by Thorne Research provides calcium, magnesium, and potassium as citrate chelates for enhanced absorption. 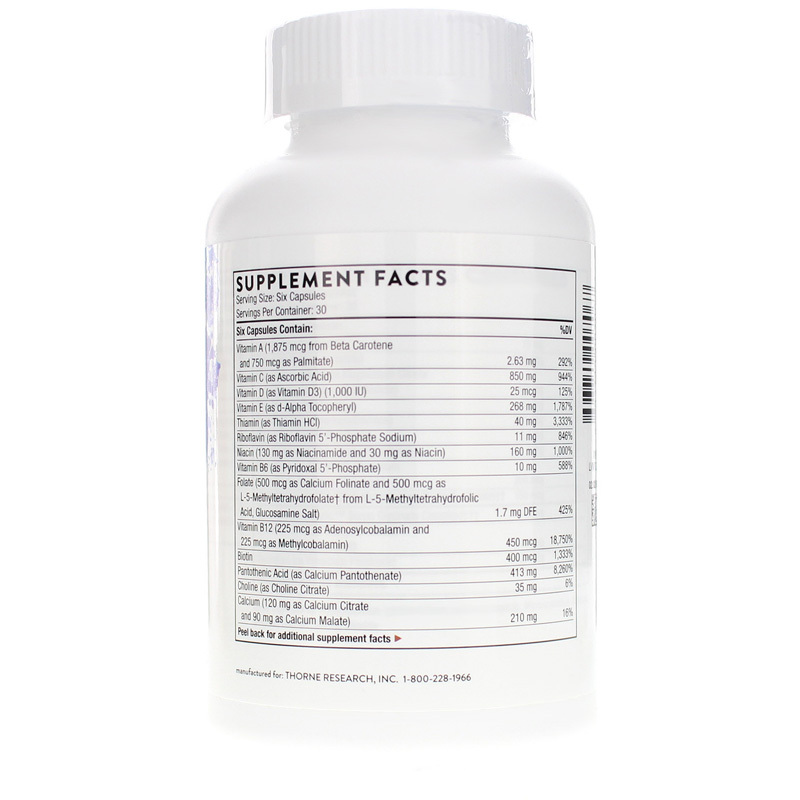 The supplement is combined with a full complex of essential vitamins and trace minerals as well. Try this full scope of absorbable vitamins in Basic Nutrients IV. Adults: Take 3-6 capsules daily or as directed by your healthcare practitioner.